Comment: Relations between Doha and Tehran have notably improved since Saudi Arabia, followed by several other Arab nations, severed diplomatic and commercial ties with Qatar last June to protest Doha’s alleged support for terrorism and close relations with Iran. 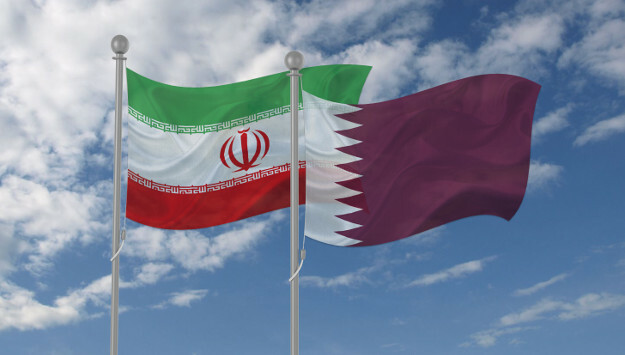 Tehran was quick to exploit the crisis by offering assistance to Doha. It sent hundreds of tons of fruits and vegetables to Qatar to mitigate the country’s food shortage and opened its airspace for Qatari flights that no longer had the permission to fly over Saudi Arabia, United Arab Emirates and Bahrain. Revolutionary Guards also pushed the Rouhani government to aggressively boost ties with Qatar. An article in IRGC-affiliated Fars News Agency argued that Iran was strategically better placed to export food and non-food items to Qatar by air and sea. From Tehran’s view the inter-Arab dispute was a welcome distraction from Washington’s efforts to forge a regional Arab alliance to counter Iran’s growing influence in the Middle East. This year, Iranian non-oil exports to Qatar have gone up by more than 100 percent, and air traffic between the two countries have gone up sharply as well. The growing relations between Doha and Tehran have raised concerns in the United States, which has military bases in Qatar. Qatar's Al Udeid Air Base hosts thousands of American personnel and is one of Washington's largest military bases in the Middle East. The base has been crucial for US counterterrorism operations in the region. The Wall Street Journal reported today that the Trump administration is worried that the protracted dispute between Qatar and the Saudi bloc is pushing the emirate into Iran’s political and economic orbit. American officials added that such a shift would pose serious national security challenges for the United States and the Middle East. President Donald Trump today met with Qatar’s Emir Tamim bin Hamad Al-Thani, and the two sides reportedly discussed ways to resolve the dispute between the Gulf Cooperation Council members.